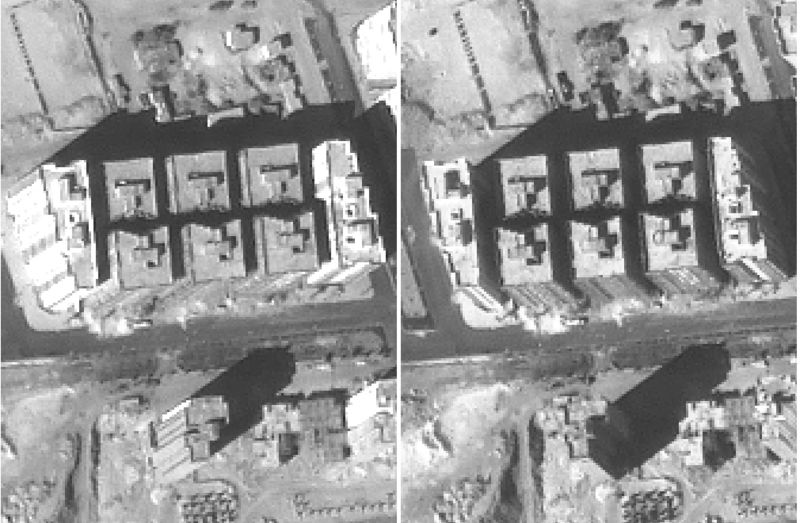 Do satellites "see" in 3D ? 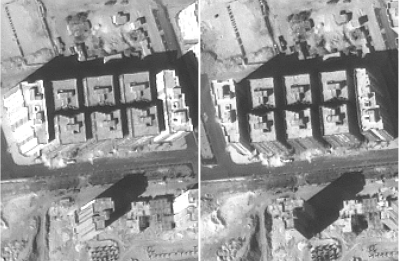 Satellites images, just like photographs, are always 2 dimensional. However, combining 2 or more images of the same object taken from different angles give informations about its height. 3D models can thus be derived from satellite data. Check it out in SEOS tutorial 3D Models! A SPOT satellite took these pictures with an interval of a few seconds. The apparent displacement of the building caused by the change of observation point is the parallax. Source: University of Gent, Belgium.